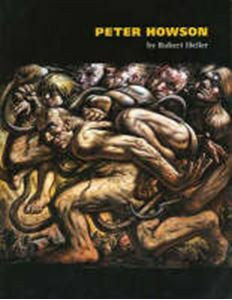 Peter Howson's last decade has been tumultuous even by the standards of one of Britain's most turbulent artistic lives. The artist has suffered personal crises, the horrors of war (as the official war artist in Bosnia), controversy after controversy and latterly mental and physical collapse. This new study by Robert Heller tells the story of a man who, through it all, has pursued his high ideals of drawing and painting with total commitment and striking success. The book looks closely at all the events that have shaped Howson's work and made him the most celebrated artist to come from Scotland. From his childhood as a precocious prodigy to his breakthrough as a star of the famous New Image Glasgow exhibition: from his hard-won Balkan experiences to his rehabilitation from drugs and alcohol at all times Howson has drawn upon rich sources of imagery and vision to create an astonishing range of work. Delicate drawings in pastel rub shoulders with huge, dynamic canvases of burly, battered boxers or milling apocalyptic crowds. From his concentration on the darker sides of life Howson draws the hope of bright redemption. Robert Heller follows the interleaving of life and art in work of an artist who follows with courage and originality in the grand tradition of figurative painting.